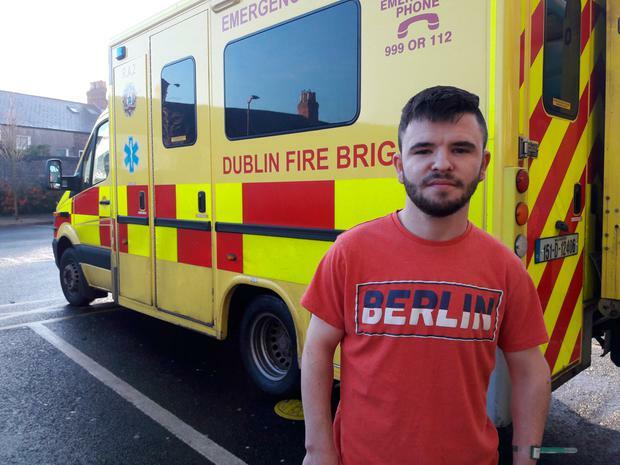 Despite waiting for more than five hours to be seen, Dubliner Anthony Nolan (21) was in good spirits at the Mater Hospital yesterday morning. "I was here since 7am and will be probably be here for another three hours," he said shortly before noon. There are other patients that have been waiting on trolleys for a whole lot longer so I'm glad that I don't have to spend the night." The Poppintree local was in work when he experienced a sharp pain in his lower abdomen when picking up a heavy object. "When I went to hospital to get it checked out they told me it was a hernia," he added. "I was in here twice already and kept on getting sick. They're now telling me that they don't know what it is so I have to be seen to again. "I'm remaining positive though and I am sure everything will be all right. The staff are also doing a great job even though they have their hands full." There were 28 people waiting on beds at the Mater yesterday, according to the Irish Nurses and Midwives Organisation.